The Galati Gear 20-30rd shoulder mag pouch holds 30rd 223 mags and 20rd 308 mags. Features six pockets with velcro closures. 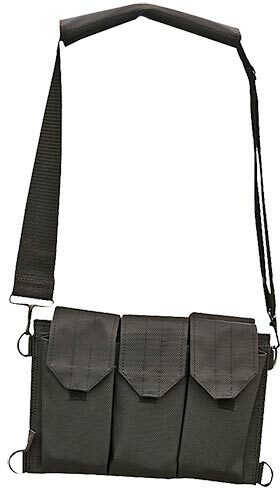 Other mag pouch features include a fully adjustable padded shoulder strap and D ring tie downs. Constructed from PVC Tactical Nylon for superior quality.